If you are working on this course and are interested to submit your work to gain participation badges linked to various course themes and activities, you arrived at the right place. 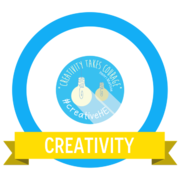 The following badges are available. 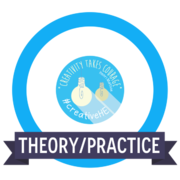 In order to claim them, please click on the relevant links and submit your evidence. In order to receive these, you will need to set-up/use a Credly account. Your work will be looked at by a member of the #creativeHE team. 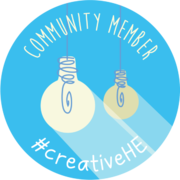 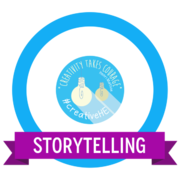 If you are a member of the #creativeHE community at https://plus.google.com/communities/110898703741307769041 you can claim this badge directly here.